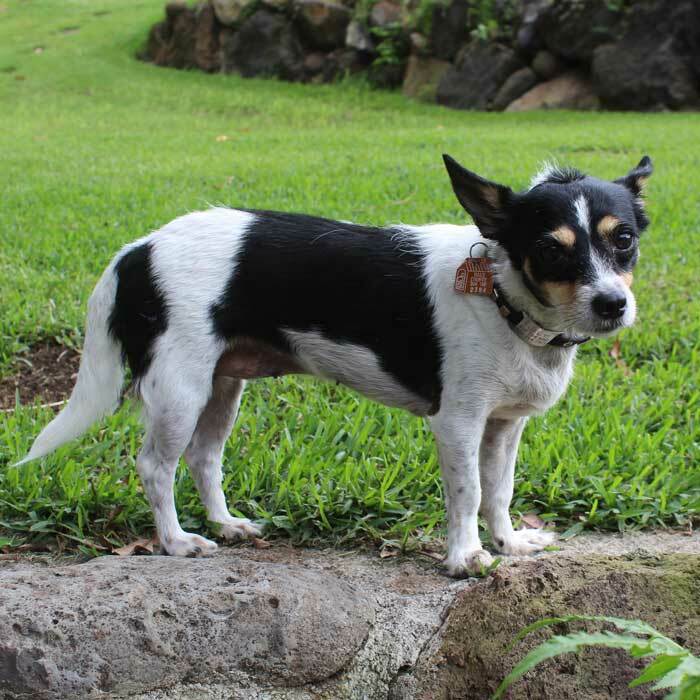 Happy Dogs Maui is located on our 1.5 acre property in Waiehu, Hawaii on the slopes of the lush West Maui Mountains. Our Happy Dogs Ohana consists of Sky and Kristin Solbach and the 3 pups Red, Lily and Harley (plus some chickens and turkeys). Get to know a bit more about the 2 and 4-legged individuals with whom your dog will be spending time. While growing up behind the iron curtains of East Germany Kristin always longed to spend her time with animals, but the result oriented realm of the socialistic republic required her to keep her focus on top grades and top results in sports (a major value in the country). Set on her path by this upbringing, Kristin went on to become a professional Kiteboarder (9 years after the wall came down), winning 9 world championship titles, a Guinness World Record and multiple other awards. 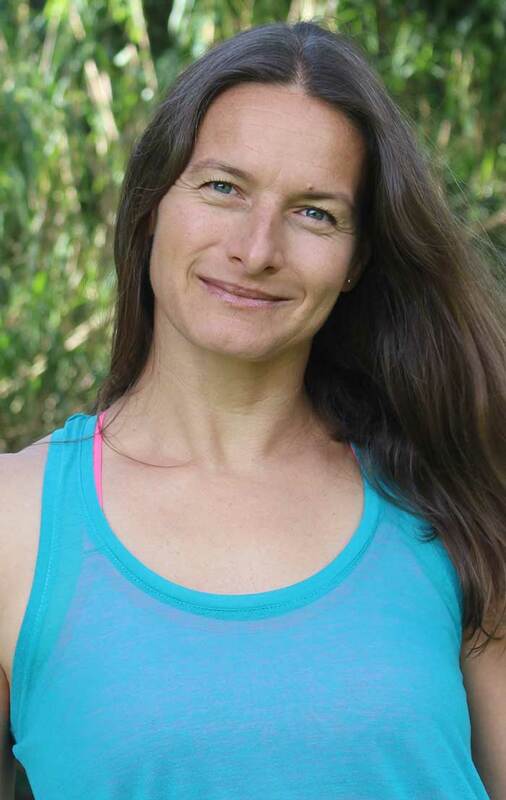 Later Kristin founded and ran a non-profit association for female kiteboarders and managed the KSP world championship tour for 3 years before finally saying good bye to the life of a nomad and settling down on the island of Maui with her now husband Sky. As soon as she had left the limitations of her upbringing as well as the limitations of a nomadic life behind, Kristin fulfilled her longing to work and live with animals. She started apprenticing with Lisa of Ohana Pet in August 2017 where she is now an assistant dog trainer. 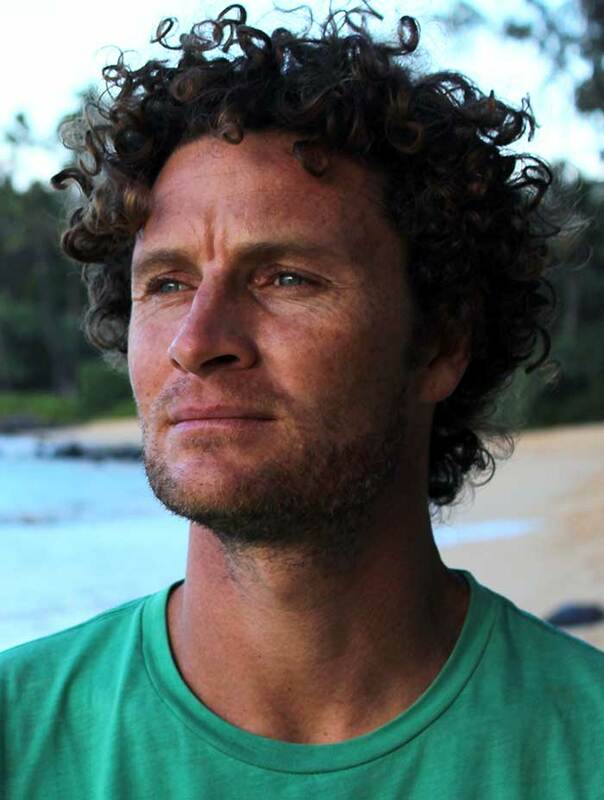 Born to nomadic, windsurfing parents in California, Sky was raised between the Caribbean island of Bonaire, California and Oregon where he spent most of his waking hours in the ocean doing things like fishing, surfing and windsurfing. In 2002, at the age of 18, Sky’s passion for sports and the ocean led him to begin a successful career as a pro kitesurfer. After traveling for many years, Sky (and Kristin) settled down on Maui in 2013 where he now designs all types of wave riding crafts for a living. Sky grew up with dogs by his side and has a deep love for all four-legged companions. A true survivor, Red lived on the overgrown property that Sky and Kristin bought back in 2013 and had been seen around by the neighbor for years. Once Sky and Kristin started building their house, she watched the process from a distance, but over time dared to come closer and closer until she finally ate out of Kristin's hand. From here things went quick and Red moved into the house she lives in today, before it even had a roof. It is said that she is incredibly grateful that Sky and Kristin built her a house to retire in. 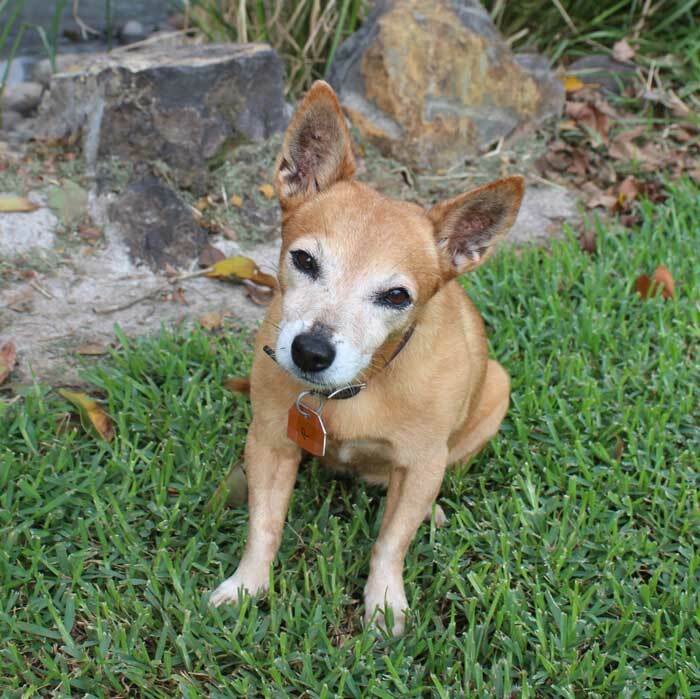 Red was 9 years old when Kristin and Sky adopted her back in 2014 and still runs around like a puppy today. Another foster failure, Harley originally came into the Solbach Ohana with his sister Gracy when they were 10 weeks of age in December 2017. Gracy got adopted quickly, however, Harley stuck around adoption weekend after adoption weekend and eventually Sky and Kristin just could not let him go anymore. 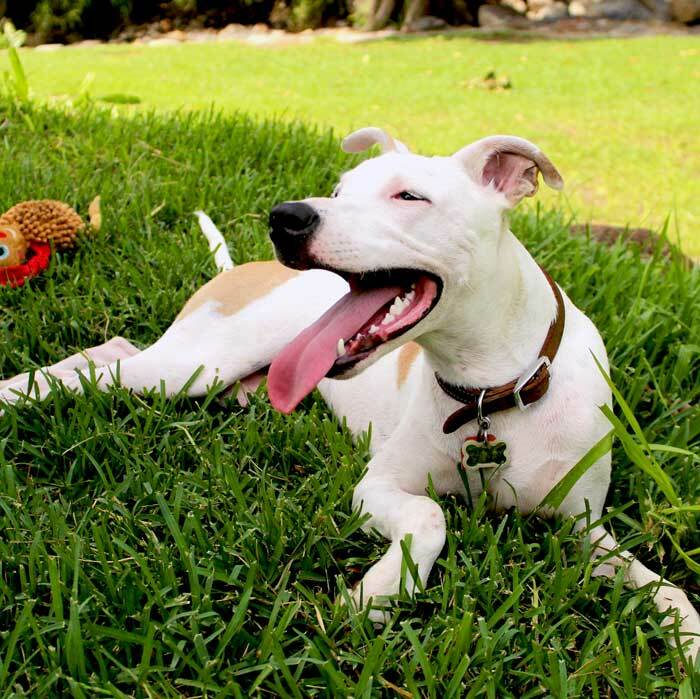 While Harley was terrified of any human being for his first month at Happy Dogs Maui, he has always LOVED other dogs. Over time he has also learned to like humans (with lots of socialization and even more delicious treats) and loves his human parents and his furry and feathered sisters.